During the United States Grand Prix weekend in Austin, Texas, Pirelli unveiled the new Scorpion Verde All Season Plus to key customers from across the country. This new eco-friendly high-performance tire for SUVs and Crossovers has been developed specifically for the needs of the US replacement market and is an evolution of the existing Scorpion Verde All Season that is used as original equipment on some of the world’s finest SUVs and Crossovers. This tire continues Pirelli’s strategy in the US market to differentiate products developed for OE and those developed specifically for replacement applications. These replacement market only products feature a high mileage compound and include the “Plus” designation in their name. This product will include over 35 of the most popular sizes for American, Asian and European SUVs and CUVs. Making use of an advanced structure and tread design modeled for the demanding original equipment market, the new Scorpion Verde All Season Plus provides consumers with fuel savings, environmental friendliness, comfort and noise reduction. 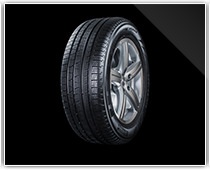 This product is produced with eco-friendly materials that reduce environmental impact; both during the production process and for the entire life of the tire. The combination of its low rolling resistance for improved fuel economy and its 65,000 mile limited treadwear warranty make this tire a great value for SUV and Crossover consumers. 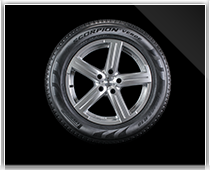 The Scorpion Verde All Season Plus provides safety and performance in all four seasons, without compromise, making it one of the most complete SUV and Crossover tires in the market.